Ferrari’s decision to put the German on the faster-degrading ultrasofts backfired. 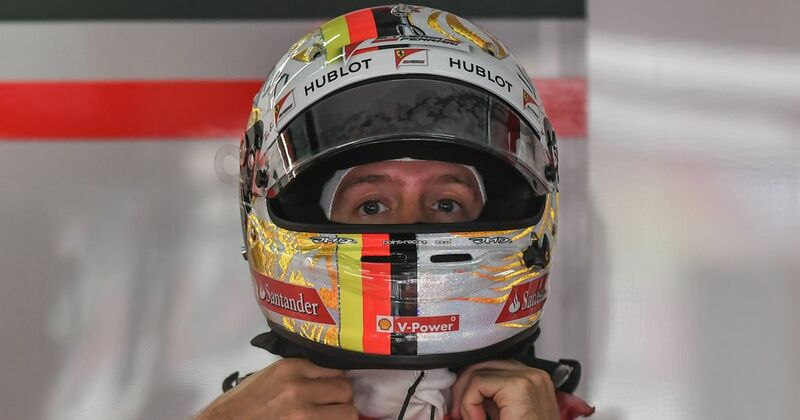 Sebastian Vettel’s frustration boiled over after seeing his hopes of a fifth Formula One drivers’ championship recede further at the Singapore Grand Prix. 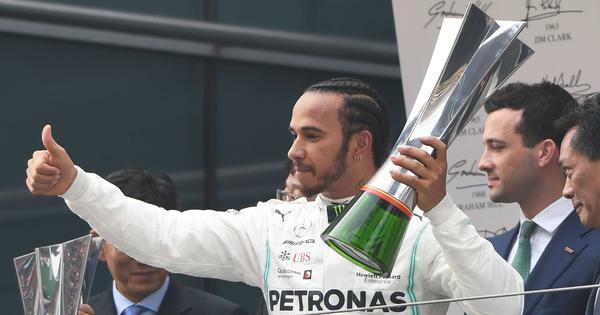 The German said he “didn’t have a chance” as he finished a distant third at the Marina Bay Street Circuit to fall 40 points behind race winner Lewis Hamilton with just six grands prix of the 21-race season remaining. Vettel arrived in steamy Singapore 30 points behind the Englishman but with high expectations of clawing back ground on a circuit expected to favour his Ferrari. But for the second year running it was Hamilton who took the chequered flag. Vettel could not get near Hamilton’s blistering qualifying best despite having the faster car in practice. “Overall we were not fast enough. Didn’t have the pace in the race,” Vettel fumed. Despite briefly running second by overtaking Max Verstappen on the opening lap, he was jumped by the Red Bull driver during the pit stops. And Ferrari’s decision to put the German on the faster-degrading ultrasofts while his rivals all swapped to durable soft tyres did little to lower his blood pressure. “I had a different race on a different tyre to the other guys and didn’t think it would last, but pitting wasn’t an option. So we focused on making it home. Vettel tried to put on a brave face by pointing out that there were a lot of points still to play for, with 25 available for a win. But time is running out and the cracks began to appear at the Maranello team after Hamilton won Ferrari’s home Italian Grand Prix two weeks ago despite a front row lockout by Kimi Raikkonen and Vettel at Monza. And the hurt was laid bare as Mercedes took victory for the second year in succession at Singapore. In the process they firmly laid to rest the notion that twisty Marina Bay layout, with its 23 bends, is a bogey track for the long-wheelbase Mercedes. “We had a very strong package, both Kimi and myself looked very competitive throughout practice,” noted Vettel. “But in the end the race result we finished third and fifth. Like yesterday, that is not where the speed of our car belongs.